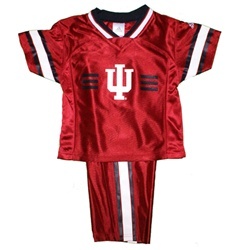 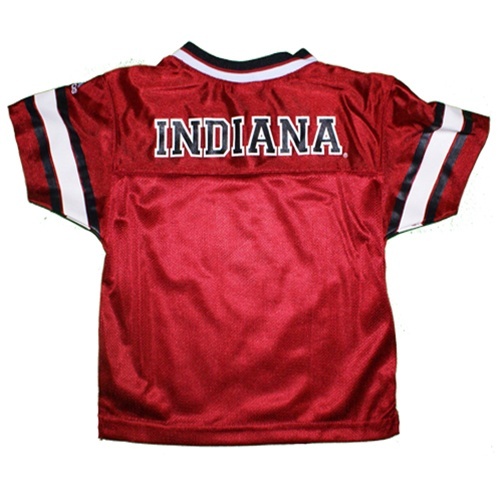 This stylish little set is made of a comfortable silky polyester "dazzle" material and includes a pair of side-striped crimson pants and a jersey top with IU on the front and INDIANA on the back. 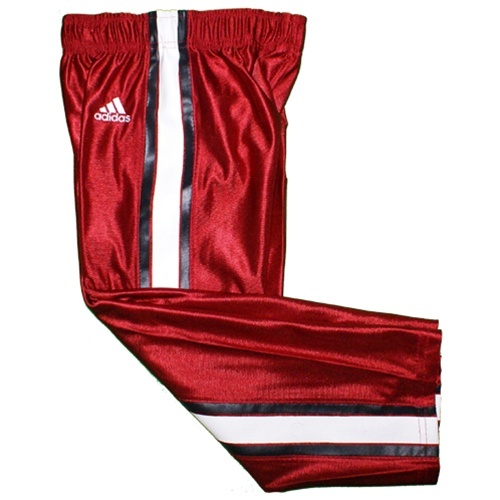 The mesh side panels are great for breathability. 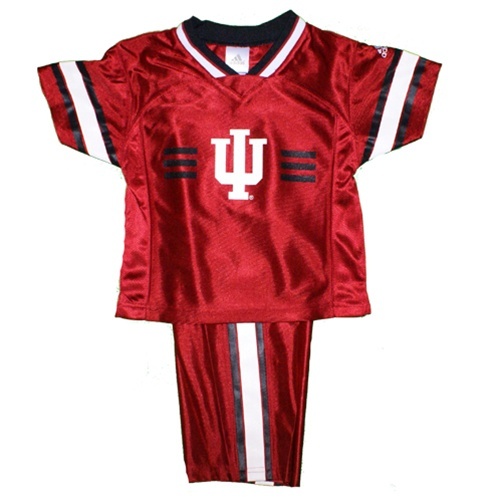 The contrast white and black stripes on both the pants and top make it a great looking little outfit...perfect for pictures!